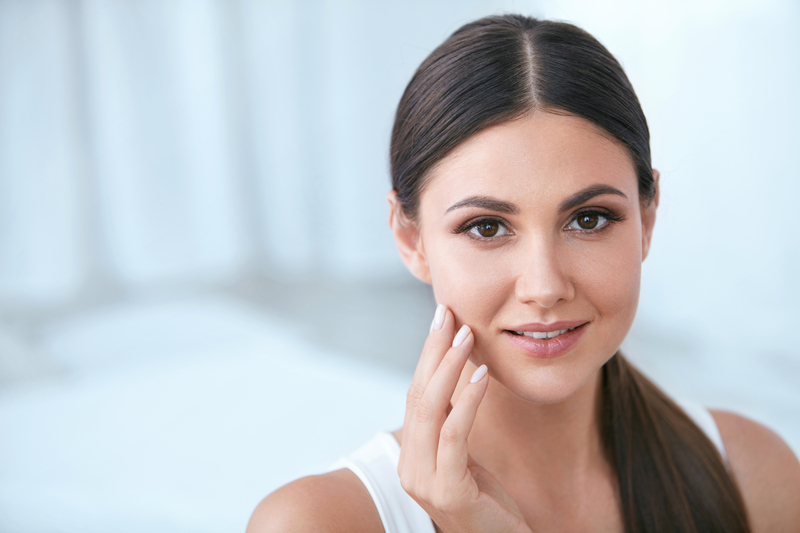 While time, stress and environmental factors can have a negative impact on our skin, there is a way to fight back and keep our skin healthy and glowing from the inside out. Skincare products are one part of the equation, but another very important part is our nutrition. According to Harvard Medical School, eating balanced foods that are high in nutrients, can help reduce the aging process and allow us to stay healthy throughout our lives. Blueberries: These amazing fruits are loaded with antioxidants that fight free radicals and oxidative stress, which can cause aging, cancer, heart disease and more. They also help keep our skin cells healthy. Blueberries are sweet and delicious and easy to add to oatmeal, include in a fruit salad or eat plain as a snack. Fish: This wonderful seafood is an excellent source of protein and omega-3 fatty acids, which can help create a nice plumping effect on our skin and cells. Eating fish a few times a week within a salad, healthy sandwhich or as a main dish with vegetables on the side, can go a long way in keeping our skin youthful. Nuts: Nuts are another great source of protein and healthy, unsaturated fats. They also contain vitamin B and increase hydration in the skin, which keeps wrinkles and fine lines away. Grab a handful of nuts on the go for a snack or add to a salad to reap their proven benefits. Spinach: This tried and true leafy green vegetable is a key component of great skin. It’s packed with nutrients such as vitamins A, C, E and K, iron, folic acid, magnesium and more. It helps to increase collagen in the skin to protect against premature signs of aging and is wonderful to add to whole wheat pasta, salad or a protein dish. Avocado: This creamy and savory food contains healthy, monounsaturated fats and is rich in vitamins A, B, C, E and K and contains potassium. It helps to get rid of inflammation, dead skin cells and toxins and can leave you with smooth, supple and revitalized skin. Eat it plain, in a salad or sandwhich to truly enjoy this incredible food. Be sure to check with your doctor if you have any dietary restrictions or food allergies and add these foods where appropriate to your meals to prevent aging and have beautiful and healthy skin!